Films & TV World: AB & SRK - Two legends, one stage, an unforgettable conversation at the India Today Conclave. AB & SRK - Two legends, one stage, an unforgettable conversation at the India Today Conclave. It will be a magical cinematic experience at the India Today Conclave as Bollywood legends Amitabh Bachchan and Shahrukh Khan engage in a never-before conversation at the most-awaited event of the year. The two-day event will also see talented actresses Anushka Sharma, Alia Bhatt, and Kalki Koechlin, show us their depth and range. Karan Johar, director, producer, TV show host, author, will be on the other side of the coffee table for a change, being quizzed, not quizzing. The Conclave will also touch upon the crucial topic of racial discrimination as actor, designer, WarisAhluwalia, sheds light on living in Donald Trump’s America. With a short movie, ‘Dear America’, he also makes a powerful statement against bigotry and xenophobia. The Conclave will also witness the worldwide premiere of short films bySudhir Mishra, Nandita Das, Tigmanshu Dhulia and Ram Madhvani. That’s not all. In keeping with the theme of The Great Disruption, the Conclave will premiere a VR film produced by Anand Gandhi and directed by SooniTaraporewala, celebrating the spirit of Mumbai. 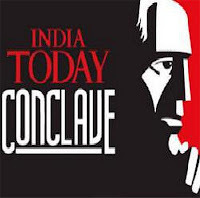 India Today Conclave is a unique platform where the sharpest minds from across the globe converge to discuss and debate ideas and issues. 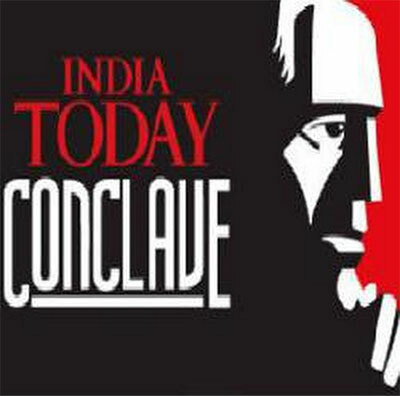 Taking a break from previous years, the India Today Group's signature event will be held in Mumbai for the first time on March 17 and March 18. The Great Disruption, the theme of the India Today Conclave this year, will feature ground-breaking ideas, innovative experiences and thought-provoking debates. There will be two days of talking, listening, thinking, doing and experiencing. From former President of the French Republic (2007 -2012) Nicolas Sarkozy to President of India, Pranab Mukherjee, to titans of the corporate world, the list of speakers this year is bigger and bolder, heralding a wave of change. 39. Shashwat Goenka, Sector Head, Spencer's Retail Ltd.